Choose Wisely: you will want to make sure your transportation has enough room for all your things, especially if the move is far and you are not planning on taking 2 trips. Generally the contents of a 1 bedroom apartment will fit in a 16-foot cube truck, while 2 or 3 bedrooms usually will fit in a 24- or 26-foot truck. Make a plan: before you start packing or contact movers, create an itemized list of everything that should be done and follow it as you go. This will make the move easier for yourself and others who are helping you. If you are using movers, make an inventory as you pack and check it when you unpack to make sure none of your items were lost. Get Rid of It: Before you start packing, get your junk under control! Go room to room and decide what you can live without, what you can sell, donate or just toss. Label Everything: this will help make unpacking simpler by giving each box a label and a number. Save a box to ship: Once everything is cleared out, you still may stumble upon a few forgotten items. Keep an extra empty box so when it's time to lock up and leave you can simply ship the forgotten items to your new home. Hopefully all these tips from thenest.com will help you with your next move, maybe into a new house for the New Year? For more tips on how to make your move as stress-free as possible, view our moving checklist! 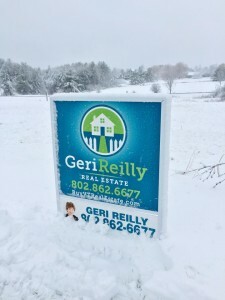 Its true that winter can be a slow when trying to set up showings to sell your home! With a few tips from Veterans United Real Estate and Realtor.com you will be able to feel a little bit better about selling your home this winter! Display the year-round beauty - make sure there are seasonally appropriate exterior photos of your property but also have on hand photos from the spring, summer & fall will give buyers a sense of year-round beauty. "Warm & cozy" is key - create this ambiance to encourage the right buyer reaction, turn on the heat, highlight a functional fireplace, and use throws and rugs to instantly warm a room. Decorate tastefully - classic Christmas lights or a scented holiday candle can welcome buyers and lift spirits. Take advantage of the holiday season by encouraging sellers to incorporate attractive holiday decor. Keep the tight lending climate in mind when pricing and marketing your winter listings. Inventory often shrinks during the winter. With fewer houses on the market, its easier to give your listing a comparative advantage. Place a holiday welcome mat outside the front door to welcome potential buyers with some holiday cheer. Keep your driveway and walkway free of snow and ice! Don't make it hard for buyers to get inside your home. If your not currently living in the home you're trying to sell, hire someone to take care of this maintenance for you, it will be well worth the cost! Keep your home well lit! If your home is vacant keep your lights on a timer, prospective buyers may do a "drive-by" before scheduling a showing and a well lit home looks engaging and inviting! Home Improvement Projects Anyone Can Accomplish! DIY repairs and projects around the house don't have to be a hassle! Here are a few projects anyone can tackle via eHow.com! Next take a look at your windows, replace your own blinds with a newer modern looking adornment that complements your rooms color scheme. A simple coat of fresh paint can change the look of any room instantly! Think about what colors you want to incorporate but also think about your existing decor, unless you're looking to do a total re-design! Now think outside the house! How is your curb appeal? eHow suggests some simple low-maintenance tasks such as power washing your driveway, adding mulch and low-maintenance plants, and updating pavers for the walkway. Think about replacing your old bathroom & kitchen tile. This one sounds complicated but its so easy to do yourself! And this way you can get creative and use different types/sizes/designs! The possibilities are endless. Probably one of the quickest and cheapest ways to change the look of any room is to rearrange your furniture! There are many ways to create the most ideal as well as comfortable setting. Last but not least replace old lighting in your home. Incorporate updated lamps instead of overhead light fixtures. Replace low watt bulbs with compact fluorescent bulbs!